Started in 1979, this group started by Jaz Coleman, Geordie Walker, who soon added Youth on bass, they had a sound that sometimes defied categorization. creeping out of the post-punk apocalypse, the sound has an aggressive, industrial, punky vibration, with reggae and funk and metal weaving into the tapestry of the Joke. Released in 1984, the track has the later distinction of having been the inspiration for Come as You Are by Nirvana. They sued Nirvana, but later dropped it after Kurt died. Here is the Serious Dance Mix of this track from the original 12″, clocking in at over 6 minutes! Eighties! I’m Livin in the Eighties! I push and I struggle! Hey Hey perfect timing I’ve just uploaded an imaginary soundtrack to an 80s movie.. 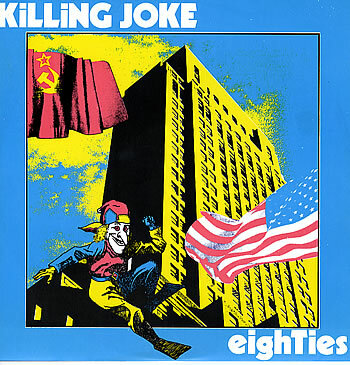 Check out my muxwit too for more 80’s a go-go including another Killing Joke tune..